I recently acquired a size 48 Pro Player Hawks jersey. A few years back I had a black size 52 that I wish I didn't sell. What surprised me with the 48 was how monstrous of a jersey it is! I don't recall the 52 being so large. When measured, it's equivalent to size 54 pit to pit. I compared it to my Nike 52 and the size was identical (I knew Nike ran large). Is this normal for PP jerseys? Second question. When pulling out my Nike jersey, I realized it said 'G' on the lower tag. Never noticed that before. I thought goalie cut jerseys had G next to the upper size. Here are photos of the tags. Does this mean the Nike is goalie cut? Suppose that would explain why it's so huge, but at the same time, it's the exact same size of the PP which does have a 'G' on the tag. 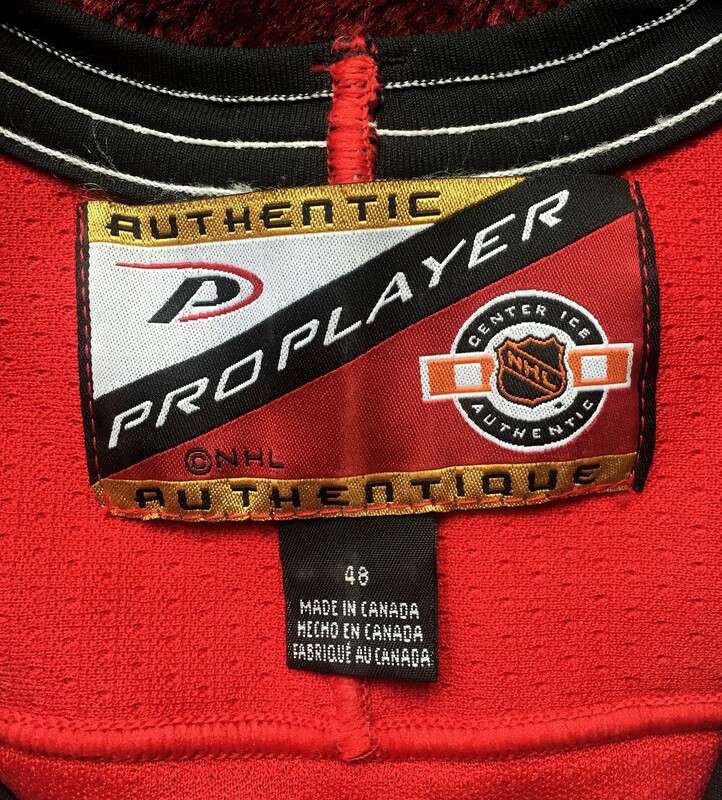 Final question.... does anyone know if EPS has the correct nameplate material for a PP jersey? 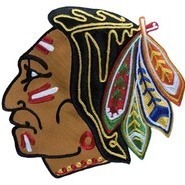 Want to have this one done up as an Amonte. The G probably is just an abbreviation for the French "grand," same as large. Nothing to do with goalie cut. EPS has many shades available in the flo-knit material, which is what both the Nikes and ProPlayer authentics are made of. I would think they should have a close color match to yours. Off topic, but did you ever get back your 90's Hawks jersey from CSL? On second thought, the G might be Spanish for "grande," since on the Nike 44's (small), the abbreviation is CH (chico). I can't think of a French word for small that starts with CH. 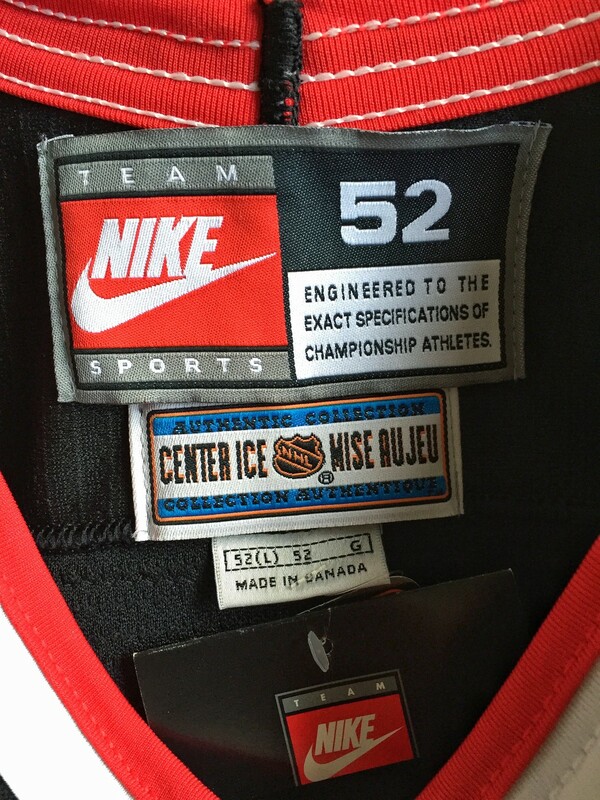 Nike goalie jerseys have the G on the collar tag itself. What I figured, but had to ask. They were supposedly sent out two weeks ago. Followed up with Tom this past Thursday and he said they were sent out this week. So I'm still waiting.